Welcome to the first edition of Cider Culture’s dog-friendly cidery series. Our contributor and avid dog-lover, Samantha Story, will be sharing with you places where you and your furry best friend can unwind and grab a cider this summer. Memorial Day weekend marked the unofficial start of summer — the beginning of warmer days, outdoor fun and enjoying cold cider with friends. Why enjoy that cider with just anybody, though, when you can kick back with your favorite furry companion? We have all heard about how many breweries out there are dog-friendly, but move over beer, because it’s cider’s turn! The cider community is equally as abundant with puppy-lovers, and we wanted to share with you all of the cideries out there that will welcome your pooch with open arms. 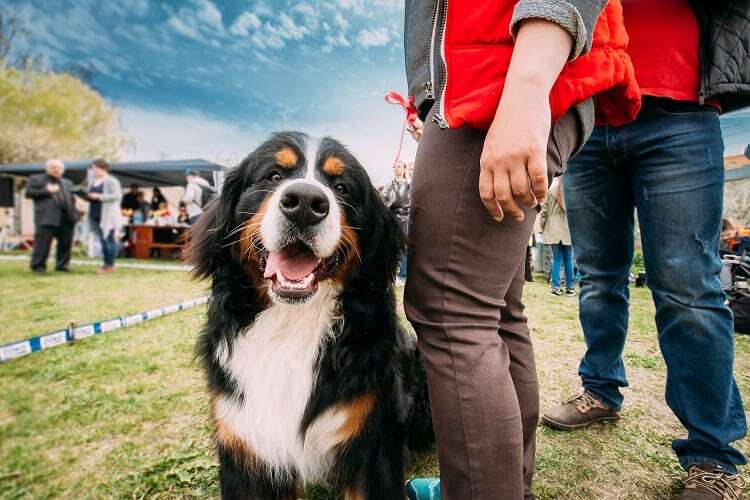 Be mindful that though all dogs are welcome, it’s a good idea to keep your dog’s well-being in mind before heading out to these dog-friendly cideries, as crowded social scenarios can be overwhelming for some pups. Otherwise, grab your leashes and let’s get started! How many bars and restaurants do you know that host a happy hour just for the dogs? There aren’t many, which makes Nine Pin Cider‘s tasting room even more of a gem. Don’t forget to BYOWB (bring your own water bowl) so your pooch can stay just as hydrated as you during the hot summer days and nights. 929 Broadway, Albany, New York; (518) 449-9999. It's a good day to keg some cider! Come meet Noelle, Gracie and Keizer today as we celebrate the Year of the Dog and help us raise money for @proper pit bull! Virtue Cider in Fennville, Michigan, is definitely dog friendly! Lots of great outdoor comfy spots for pups, and there’s also two miles of walking paths in our woods that are great for taking a walk with your dog. I wish I could post a pic of Porter, the owner’s pup and all the other cute canines who’s peeps are craft beer lovers on the Central Coast. The Tapped Apple Cidery and Winery in Westerly RI is dog friendly. Naked Flock Hard Cider at Applewood Winery in Warwick NY – in the lower Hudson Valley Happily welcomes well behaved dogs on leashes!!! We are major dog lovers here! Shacksbury in Vergennes,Vt is dog friendly! Check out their Sunday Tasting Events ?